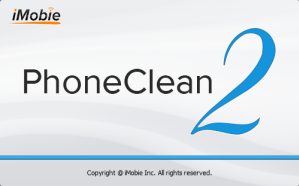 Recommended by Cnet, Lifehacker, iLounge, and hundreds of senior editors, PhoneClean 2, a free and award-winning iPhone, iPad, iPod cleanup utility, now is leading a new trend of iPhone iPad iPod Spring Cleanup and Speedup. On the beginning of this January, iMobie Inc., announced its 2013 Spring Cleanup Plan for all iPhone, iPad, iPod touch users. And in a matter of just one month, its award-winning freeware - PhoneClean 2, has been rewarded by Cnet, Lifehacker, iLounge and hundreds of senior editors all over the world. Now this completely redesigned utility is leading a new trend of iPhone, iPad, iPod Spring Cleanup. What's new in PhoneClean version 2.0? 1. Running on both a Mac or a PC, this completely rebuilt PhoneClean dug deeper in iOS system in order to find more useless junk files that are safe to remove. And usually it will help to reclaim up to 40% free space on an iPhone or iPad. 2. To entry-level users, it offers one-click iPhone Cleanup and Speedup solution without deleting any Apps or jailbreaking the device. 3. To advanced users, PhoneClean allows an option to freely determine what is unwanted and useless on the device and what is safe to clean up. They can do this before start scanning, after scanning, before cleaning and during cleaning. Thorin Klosowski from Lifehacker reviewed: Your iOS device has a limited amount of storage. It can store a lot of junk you don't need over time like temp files, scripts, and failed sync files. PhoneClean is an app that deletes all that junk for you. Rick Broida from Cnet.com: PhoneClean scours internal memory in search of temp files, cached and offline files, cookies, script files, and "other" junk, which can get left behind by failed iTunes syncs. In version 2.0 (which has a redesigned UI and is also available for Mac), the program lets you review each and every item it finds and decide whether or not you want to delete it. PhoneClean is completely free to use and instant available here. System Requirement: 32/64bits Windows 8/7/Vista/XP, Mac OS X 10.7 or above. iMobie Inc. was established at the end of 2011, and located in Tianfu Software Park (China), a place gathered great many talented software engineers. The brand name iMobie is from I'M Optimistic, Brainy, Independent & Efficient, which represents the main characters of their teammates. On the early stage of iMobie, they focus on developing iPhone, iPod, iPad Transfer and Explorer tools for backing up, sharing, and enriching iDevice users' media collection. Apple - Apple Inc. designs and sells consumer electronics, computer software, and personal computers. The company's best-known products are the Macintosh line of computers, the iPod, the iPhone and the iPad. CNet - CNET (stylized as c|net) is a tech media website that publishes news articles, blogs, and podcasts on technology and consumer electronics.